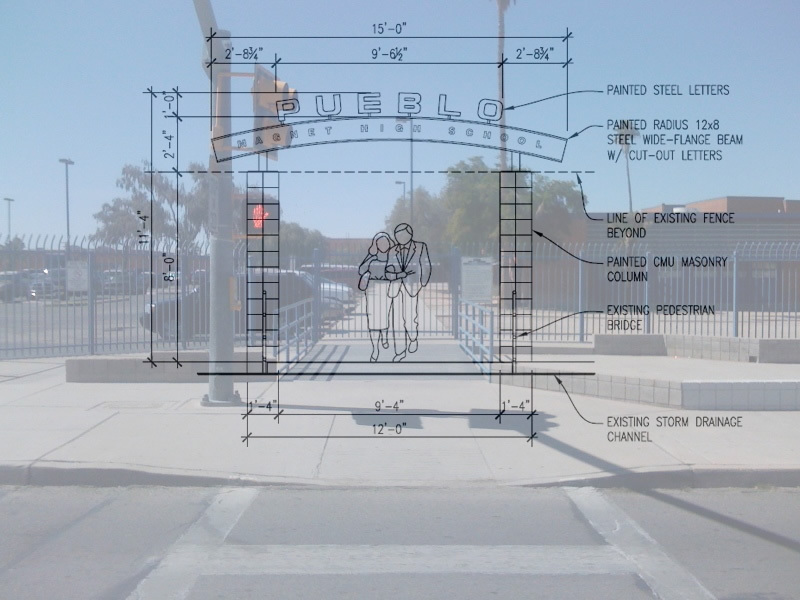 The planned construction of the new entryway and marquee on 12th Avenue has started. Construction crews broke ground on June 23rd with removal of fencing and asphalt. We are very excited for the new look on 12th Avenue. We will post video of the finished project once construction is complete. We just received the first concept artwork from the architect who took all of the Marquee Committee’s suggestions and created a spec for it. It’s in black and white, but it give us an idea of what will be constructed on 12th Avenue. What do you think Warriors? Help Us Get A New Marquee! We have some exciting news! 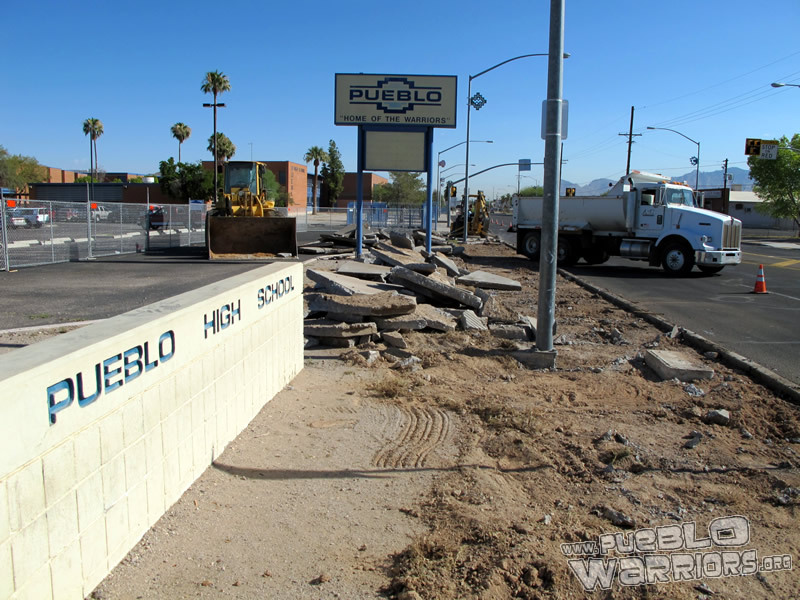 As part of a joint project with TUSD & Adjacent Ways, Pueblo has a unique opportunity to upgrade our marquee. 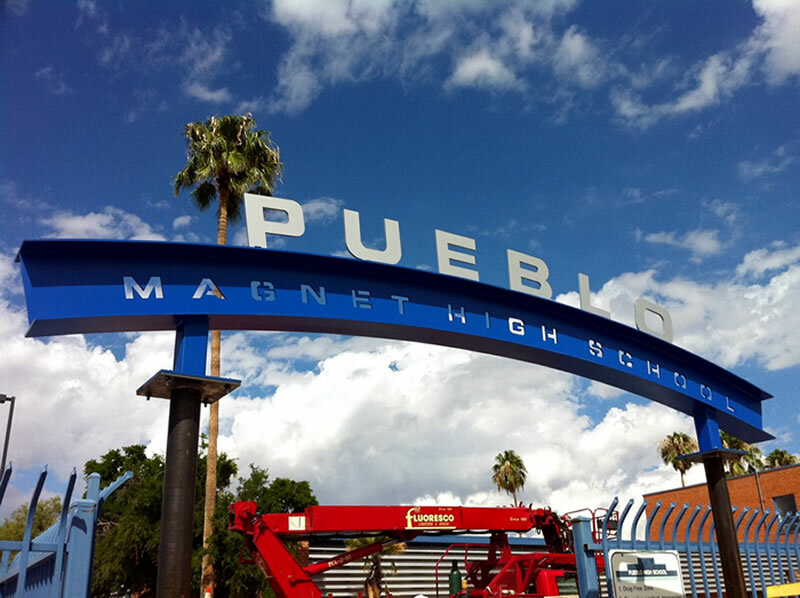 Our current marquee would be replaced with a proposed re-alignment of our entry way to Pueblo scheduled for this summer. We will post more information on that project as it becomes available. That project budgeted $22,000 to move our current marquee from its current location. 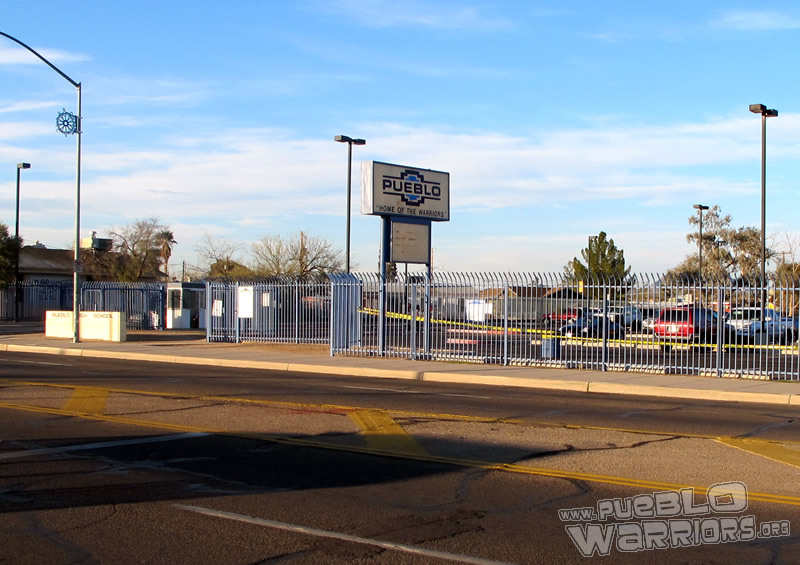 Instead of using that funding to move our old marquee, Pueblo would need to raise a minimum of $14,000 by March 5th, 2010 to replace it with a more modern one. 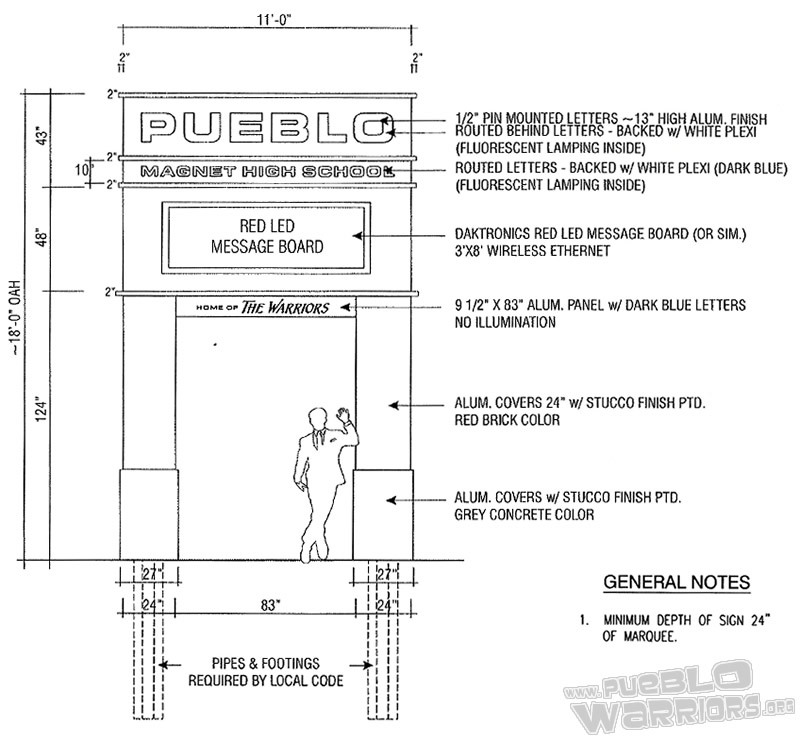 The Pueblo student body is very excited and determined to make this happen! Anyone can make a tax credit donation in our Business Office! Please call 520.225.4402 for more information. Posted on February 12, 2010 February 12, 2010 Categories Campus Issues, Construction, Fundraisers, In The News, MarqueeLeave a comment on Help Us Get A New Marquee!